Egypt was always great kite destination for European citizens. Cheap accommodation, short flights, warm and sunny weather plus the season that runs all year long. 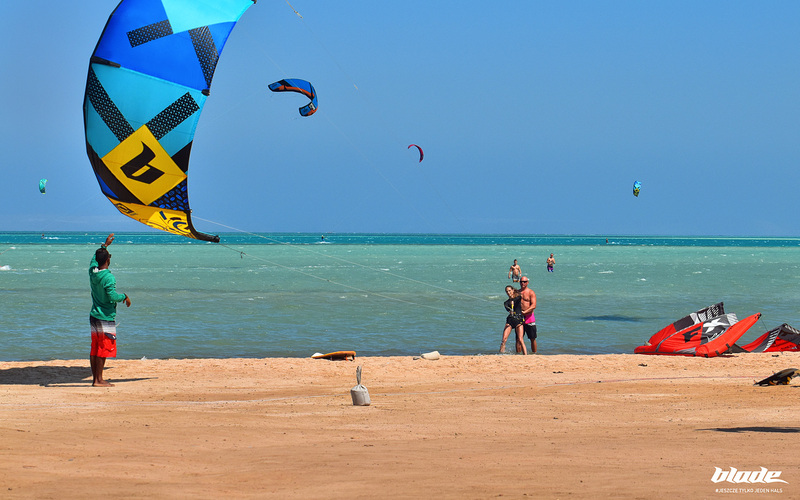 Even thought I was there many times it was last autumn (2017) when I organized a kite trip to this new spot in northern side of Hurghada… and it was a blast! 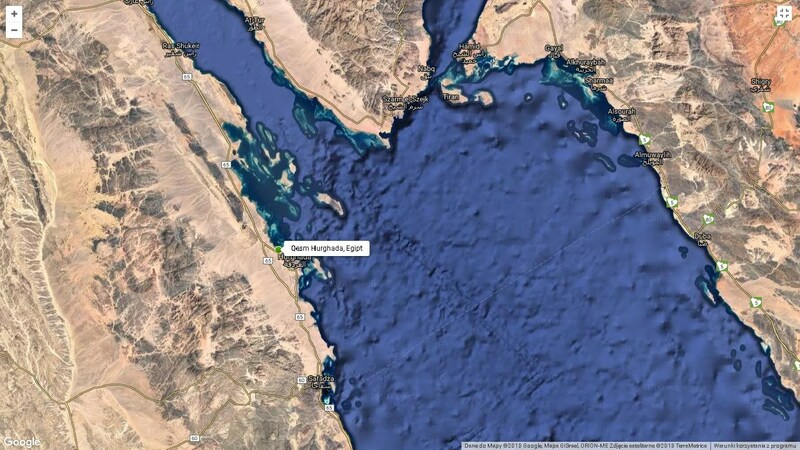 general location: the AMC spot is located in the most northern part of Hurghada at the Red Sea shore. 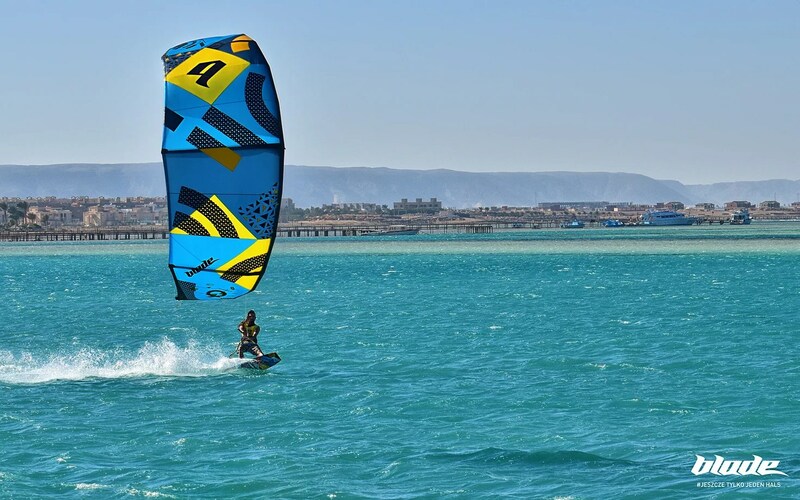 Actually it’s the half way between Hurghada city center and well know to kitesurfers El Gouna. 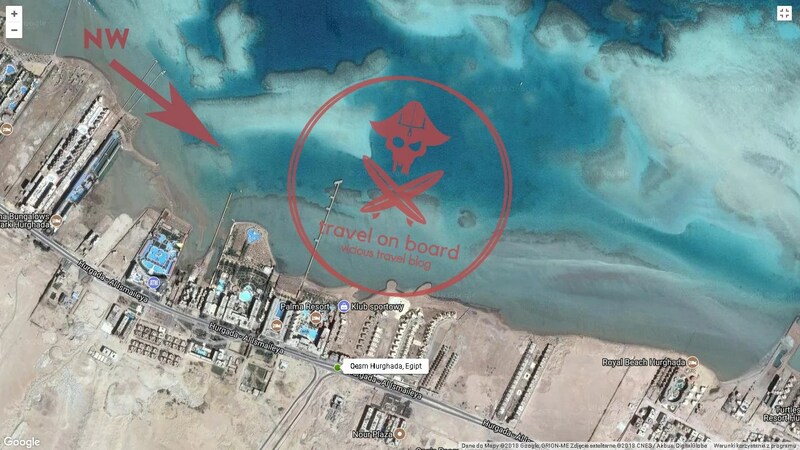 It takes no more than half an hour to get from Hurghada Airport to the hotels nearby the spot. precise spot location: the beach and its lagoon are located to the right side of the pier in AMC Royal Hotel. You can get there from any hotel just have to pass the guarded gates. They do not do any problems. wind season: from Jun till September probability of wind is very high. Beside this period it’s 50/50 so the best is to go there based on the upcoming forecast. Otherwise you may have a chance and out ot 7 days you will have 5 days of wind or … just one. wind exposure rating (1-10): 7/8 – if you go there in the right period you shouldn’t be disappointed. From one week you should get at least 4-5 days with the wind above 12 knots. Beside the main windy season wind exposure rating drops to 5.
wind direction: north-west winds are predominant here and it means side-on or side-shore. The more westerny the more gusty it is, the more northerly the better. wind quality rating (1-10): 6/7 – spot location itself plus the shoreline covered with big hotels are producing often lot of turbulences. During such days the best is to go further from the shore as there are many lagoons around with shallow (waist deep) water (i.e. at the end of the pier). With better quality winds this spot would get +0,5 point in overall rating. kite sizes: take everything you have as the wind speed may vary from nothing up to 35 knots. During our 2 weeks stay at the end of September I was using mainly 9 and 12m. forecasts reliability: good news is – forecasts works very well for this spot. Weather in main season is stable. freestyle rating (1-10): overall 7/8 but it a lot depends on the tides and the place. Main lagoon is usually choppy (depends on the tides) but there are few ponds around with quite good quality surface. waves rating (1-10): no waves. hydrofoil rating (1-10): I can’t give a proper rating as I was foiling there just twice. Generally if you want to start from the beach than you have to do it during the high tide otherwise you have to go beyond the old reef (about 150m). The issue is that beside the main lagoon itself – there’s plenty of shallows around so you have to be careful as with the changing level of water at some point you may get stacked somewhere far from the shore. In the other hand all those sandbanks create kind of a playground. With bunch of friends and a bit of planing doing a trip to El Gouna sounds like a lot of fun. Suggested mast length: max 60cm. water depth: shallow water in the main lagoon. Its level depends on tides. Outside the main lagoon you can find anything you want. Thanks to this if there’s a wind you can always find a place to play independently of tides! tides: are usually pain in the buttock but on that spot it’s not that bad. During the high tide water in the main lagoon is not much higher than waist/chest deep. During the low tide it goes down to few centimeters only so it is impossible to ride than. But it’s not far to the reef and deeper water behind it so if there’s a wind you can always have a go. wetsuits: from May till September enjoy riding in bikini or shorts. Beside the main season wetsuits are necessary. From December till February take a long one of max thickness 4/3. dangers and annoyances: the beach itself is rock hard with plenty of small and sharp stuff – very dangerous for your kite. Never leave it without at least one sandbag on it. Next thing is that the beach edge is covered with stones: big, small, sharp, rounded – nasty for your feet – easy to clean but locals don’t mind. In the left corner of the lagoon (close to the pier and the beach) is one really small place with dead reef – ask locals before hiting the water as I crashed on it just after arrival and hurt myself. Beside this be careful as on the sea floor sometimes are shells with very hard, long and sharp gnarls that stick deep into the feet. Neoprene boots are recommended. If you afraid of coming to Egypt because of the ‘muslim terrorists’ than I heavily recommend to stop watching tv. Than check the crime statistics in you’re city and compare it with Egypt. Check car accidents statistics and compare it with flights to Egypt. It is always good to use rational methods when making judgments. kitesurfing courses accessibility rating (1-10): 9 – definitively this spot is great if you want to learn kitesurfing. Windy, warm, sunny, shallow and safe – hard to beat it. Subscribe the blog – quite probably I will be organizing trip and lessons also this September. kite schools: there are 2 kite centers operating on the lagoon. One owned by locals and the other by Czeck guys. Both ofering all you need: storage, rental, courses. wifi accesability: if you need permanent access to internet the best is to buy prepaid straight at the airport after arrival. WiFi in hotels is much more expensive and not reliable. If you just need to check your resources once or twice a day than use the hotspot in the kite schools. picturesque: all the way along the Egyptian cost of Red Sea the landscapes are rough, brown and repulsive. The beaches most often do not have natural soft sand so the only places that are friendly are the hotels surroundings. Personally I’m lover of palm trees forests. This is something that pushes the overall rating down. surf vibe rating (1-10): 1/10 – If you want to be close to the spot than you end up in one of the closest ‘all inclusive hotels’. The tourist that comes there are rather not the type of people you want to spend the time with. From this perspective surf vibe is on a level not far above zero. But if you come with a group of proper friends or take part in Travel on Board Learn&Ride trip than it may rise up close to 10! Check video Monika did from our last trip – that was really a blast! accommodation: the best and comfortable option is to buy a trip to either AMC Royal hotel or Hawaii Le Jardin. First one is the closest one to the spot. But Hawaii is having really nice garden with palms and flowers. Prices for both are quite similar and are very friendly. Consider going for 2 weeks as this costs not much more than one week. Last time for the two weeks trip including flights, transfers and all inclusive option I paid around 600 usd. costs of living/kiting: this place is really cheap! as said above – two weeks all inclusive trip is 600-700 dollars. To this you have to add costs of visa at arrival (25 usd) and kite center (storage, beach boys, wifi) services (30 usd per week). Rest is up to yours personal preferences. 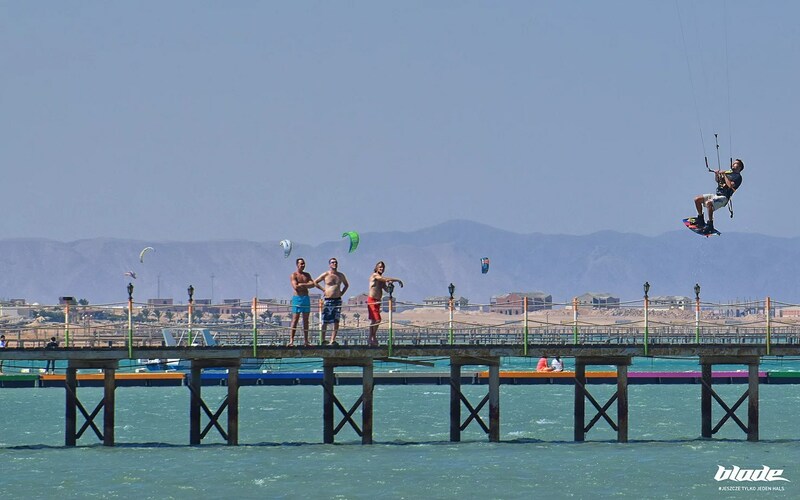 no wind activities: first of all – El Gouna’s wake park is just 10 minutes by car from the spot. During our stay we went for a snorkeling trip to the close reefs and spend very nice time together. If you like seafood than you have to visit Al Halaka restaurant in Hurghada (very close to the harbor). The food is super fresh, delicious and cheap plus this is a local place co you can get the a bit of Egyptian flavor (don’t forget to try humus!). 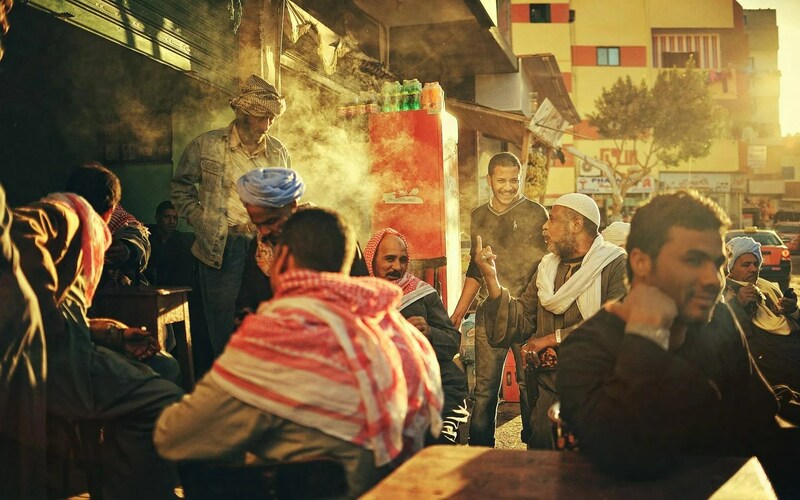 When talking about local places – go to the Hurghada’s old town market and take a slow walk around. If you want to party than go to El Gouna. I recommend Thursdays parties on the beach in The Club House. Good music, nice place and usually lot of kitesurf people. others: if you’re on an All Inclusive trip than you have local alcohol included. Normally as in most Muslim countries getting the booze is a bit of a hassles and not cheap. Choose the #ish provider carefully as they cheat tourists frequently. If you still here I guess you liked it. Don’t be egoistic and share this article with your friends – you have a share buttons just under this sentence.